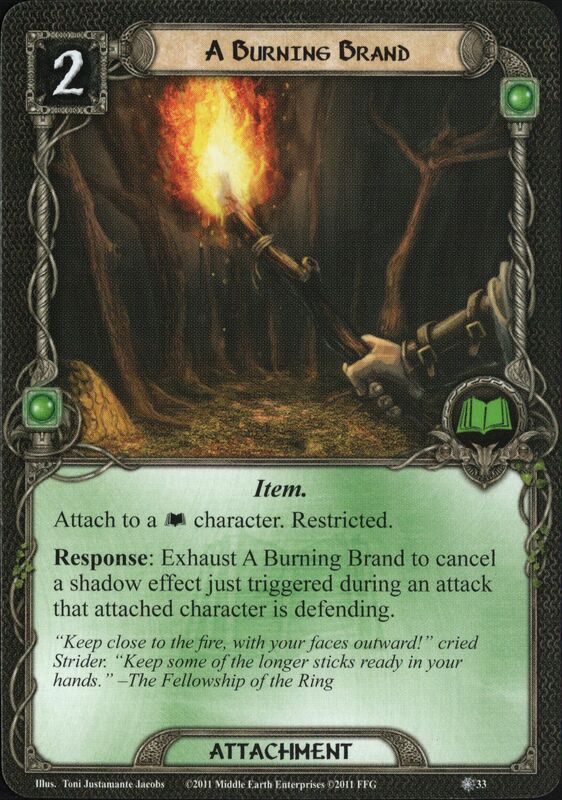 While attached character is defending, cancel any shadow effects on cards dealt to the attacking enemy. "Keep close to the fire, with your faces outward!" cried Strider. "Keep some of th elonger sticks ready in your hands."